8 MUST EAT Disney World Desserts - eight desserts found throughout Disney World theme parks. You don't want to miss these! Make sure to wear your stretchy pants! LOL! Disney World is one of my all-time favorite places in the world! It is my happy place. I have the best time of my life every single time we visit. The rides are great, but the food is unbelievable! 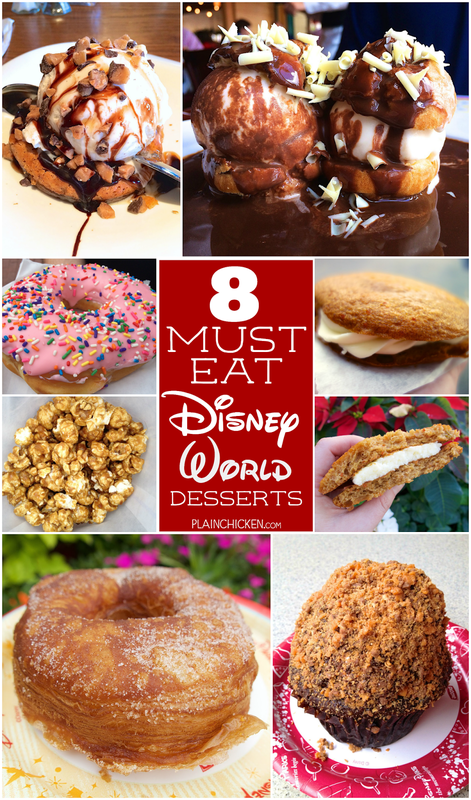 Today, I'm share 8 of my favorite Disney World desserts. You MUST eat these on your next trip! I think I gained 10 pounds just looking at this list! 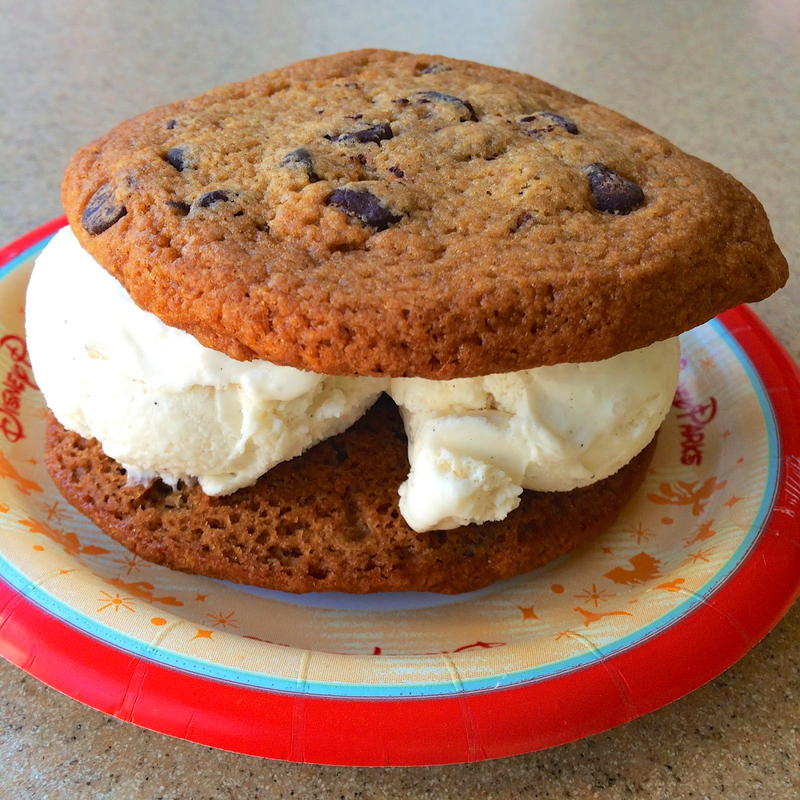 There are only a few places in all of Disney World that you can get a hand scooped ice cream sandwich. 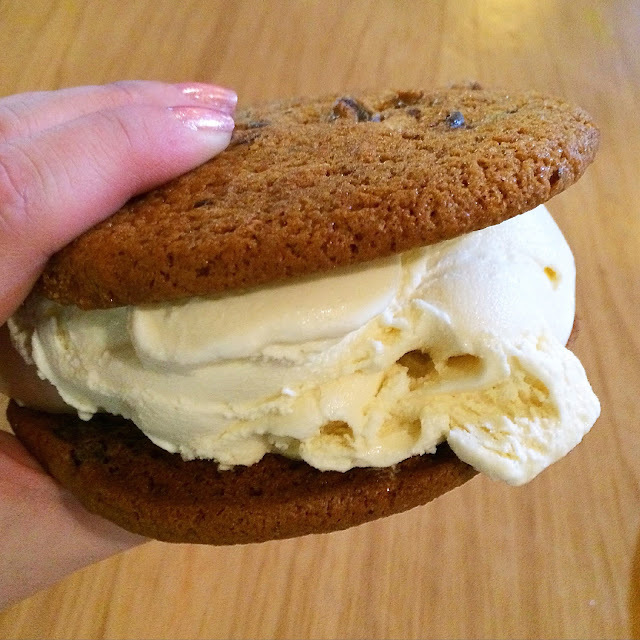 Our favorite place to get this treat is at DinoBites in the Animal Kingdom. It is a small snack stand next door to Restaurantosaurus in Dinoland. The freshly baked cookies are so yummy, and the big scoops of ice cream really put this treat over the top. It is HUGE! Enough for two or three people to share. Make sure to grab some napkins and a spoon. 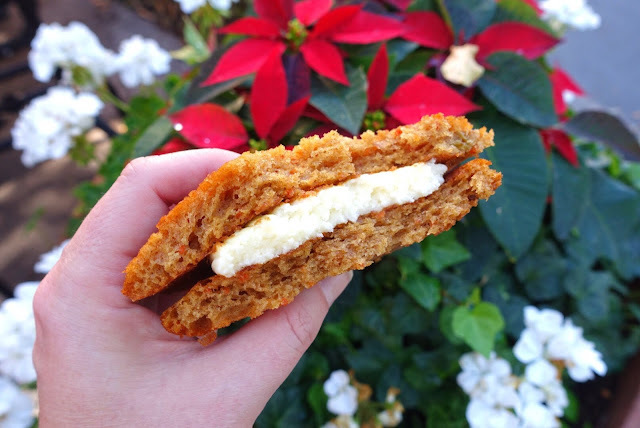 The Carrot Cake Cookie from the Writer's Stop in Hollywood Studios is a must! It is really more like a whoopie pie. 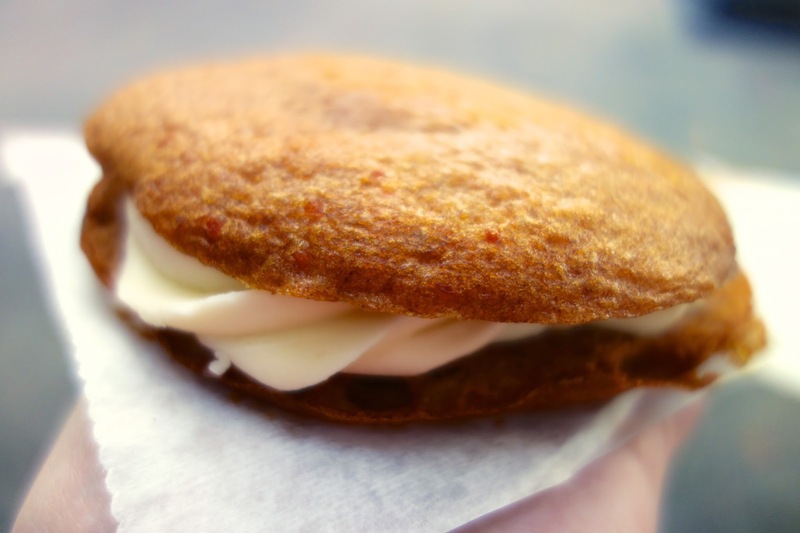 Carrot cake stuffed with awesome cream cheese frosting. I just read that the Writer's Stop is closing in April. Make sure you stop by and snag the Carrot Cake Cookie before they close! 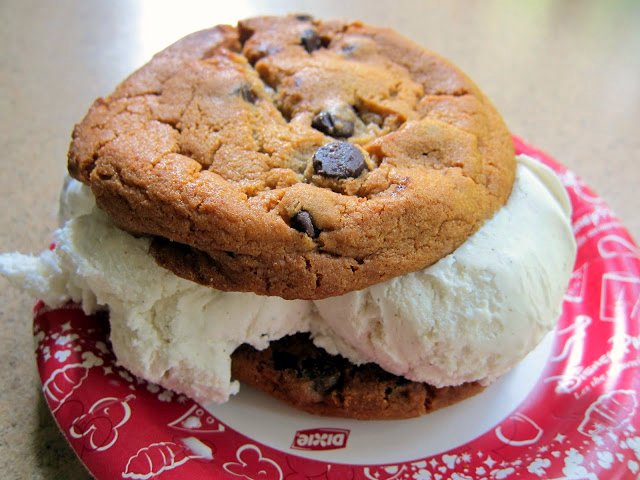 Hopefully they will add the cookie to another spot in Hollywood Studios. These Puff choux with vanilla ice cream and chocolate sauce are from Chefs de France restaurant in Epcot. We ate here for the first time last year and absolutely loved everything! 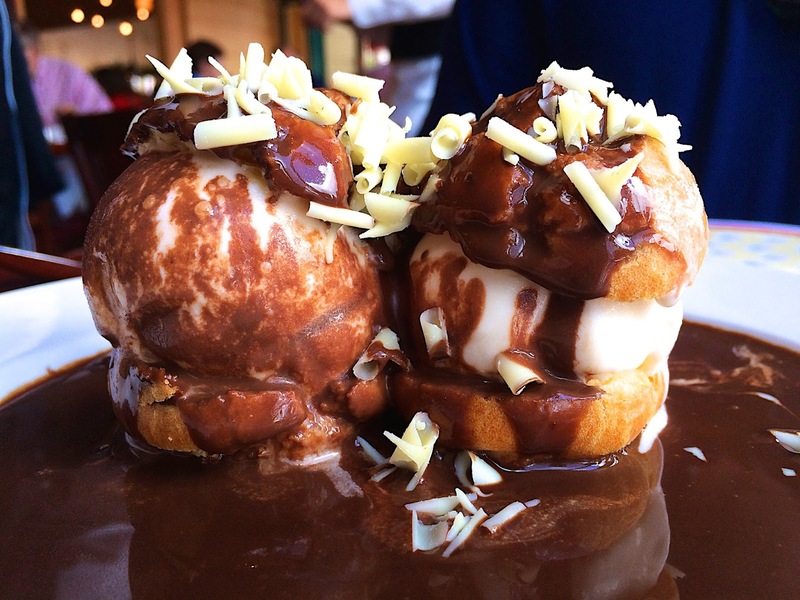 These ice cream filled cream puffs topped with chocolate were the perfect ending to our meal. I was so glad they gave us two. There was no way I was sharing this one!! SO good! 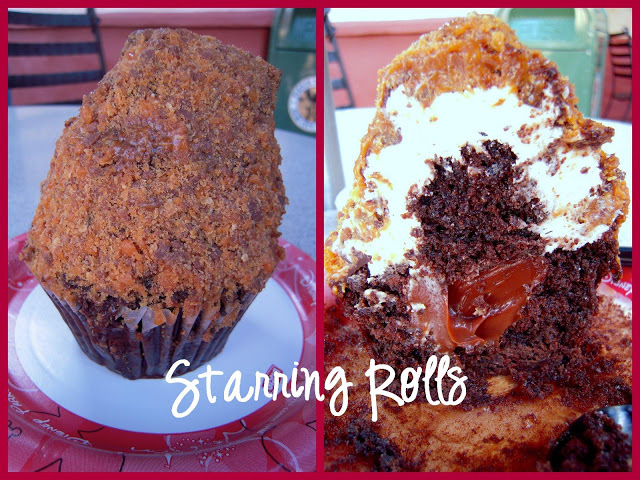 The Butterfinger Cupcake at Starring Rolls in Hollywood Studios is THE BEST cupcake we've ever eaten!! It was so good that I recreated it at home. 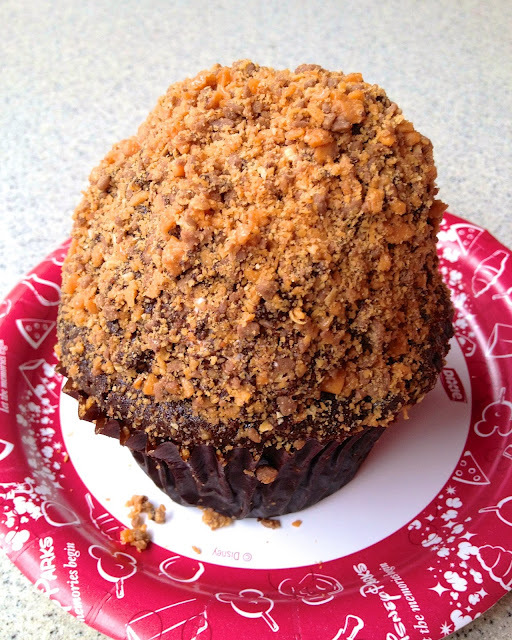 Chocolate cupcake filled with fudge, topped with buttercream, dipped in chocolate and rolled in crushed Butterfingers. AMAZING! It is HUGE! Enough for the whole family to enjoy. 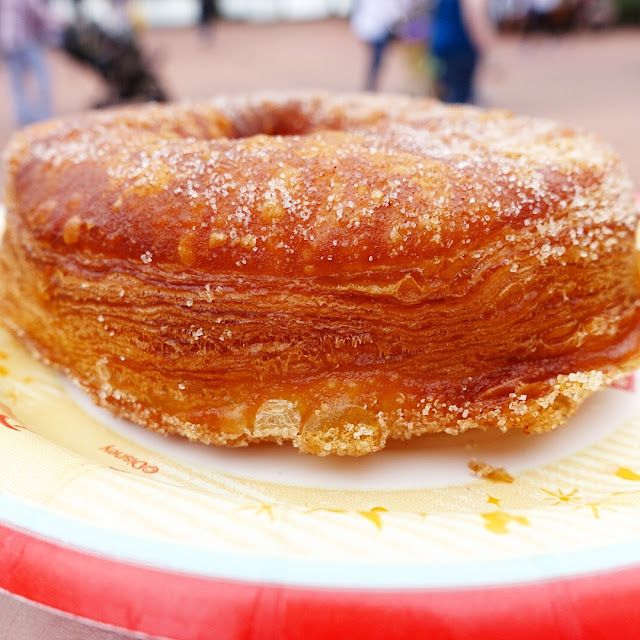 The Croissant Doughnut at the Refreshment Port in Epcot is my favorite dessert in all of Disney World. I could eat these every single day and never tire of them. Crispy, flaky and the perfect cinnamon sugar mixture on top. They aren't super sweet (precisely why I love them). The croissant doughnuts come out hot and wonderful. You can get it topped with ice cream too! We've only had them plain, and they are life changing! I am sad that I don't have one right now!!! Seriously the best. If you only get one thing on this list, get this! Ooey Gooey Toffee Cake from The Liberty Tree Tavern in Magic Kingdom is ridiculously good. The Liberty Tree Tavern is in Frontierland. You need reservations to eat here. We've only eaten lunch here. There is a menu to order entrees from. I think dinner is a buffet. I don't know if this is on the dinner buffet, so go for lunch. This is SO good! SO good. 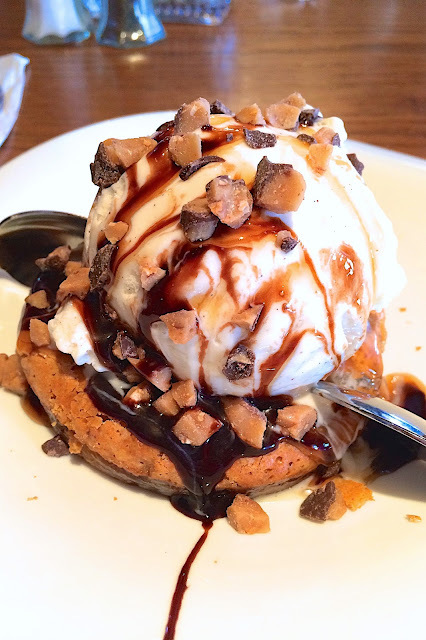 Warm, sweet, gooey and chocolatey. 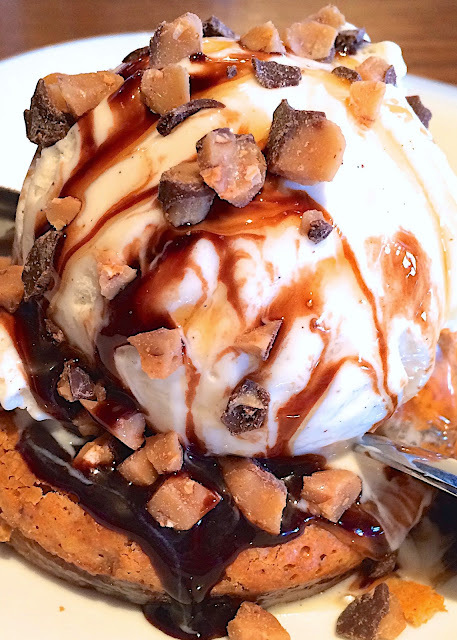 The ice cream on top really hits the spot. Warm and cold all in one amazing bite! 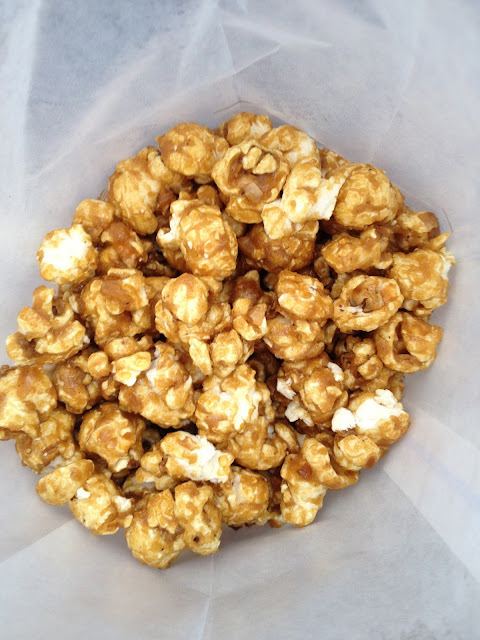 The fresh popped Caramel Corn in Germany at Epcot is to-die-for. First of all, it smells incredible! You can't walk through Germany and NOT get this. The line is long, but it moves quickly. We always get the large bag so we can snack on this while we walk around Epcot. These giant doughnuts are sold throughout Disney World. We snagged ours when we got off of Tower of Terror in Hollywood Studios. 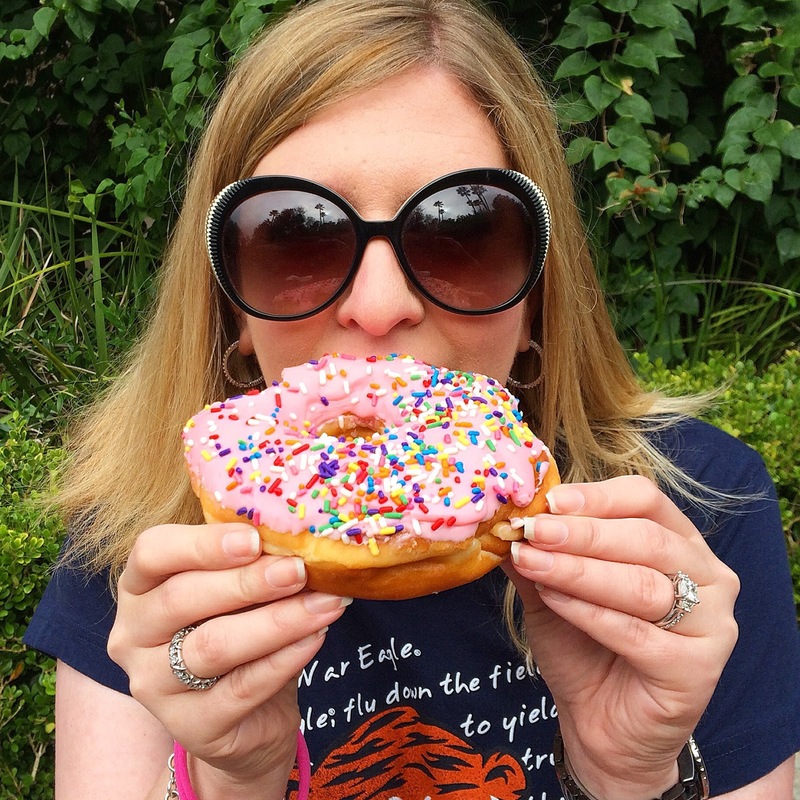 We'd been eyeing these doughnuts our whole trip, and finally decided that we couldn't leave without trying it. It is HUGE! Obviously big enough to share! 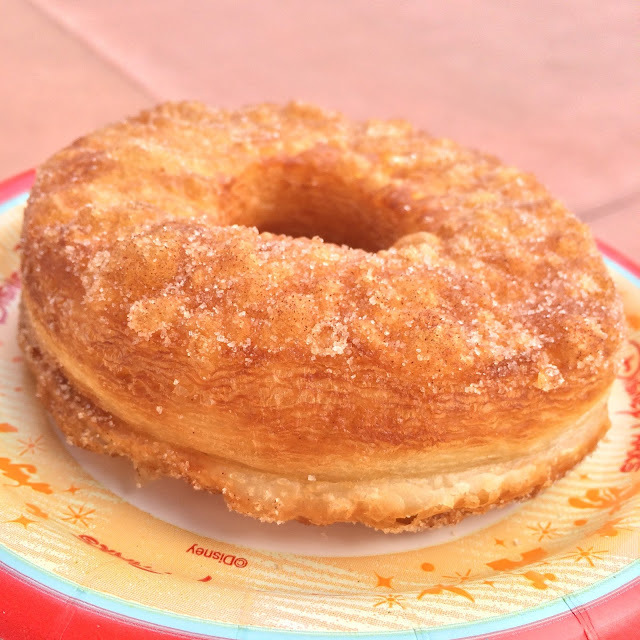 What are your favorite desserts at Disney World? What do we need to check out on our next trip? The big sugar cookies at the Main St. Bakery (any cookie from there, really), the hot cocoa at the little bakery in France at Epcot, the Dole whip, the strawberry ice cream that was sold at the ice cream parlor on Main St. (If it's still there). Those are favorites of my family. Back down the alley behind Chefs de France is an ice cream shop called L'Artisan des Glaces or something like that. They make a pressed ice cream sandwich in fresh little brioche rolls. I had dark chocolate ice cream with raspberry sauce. 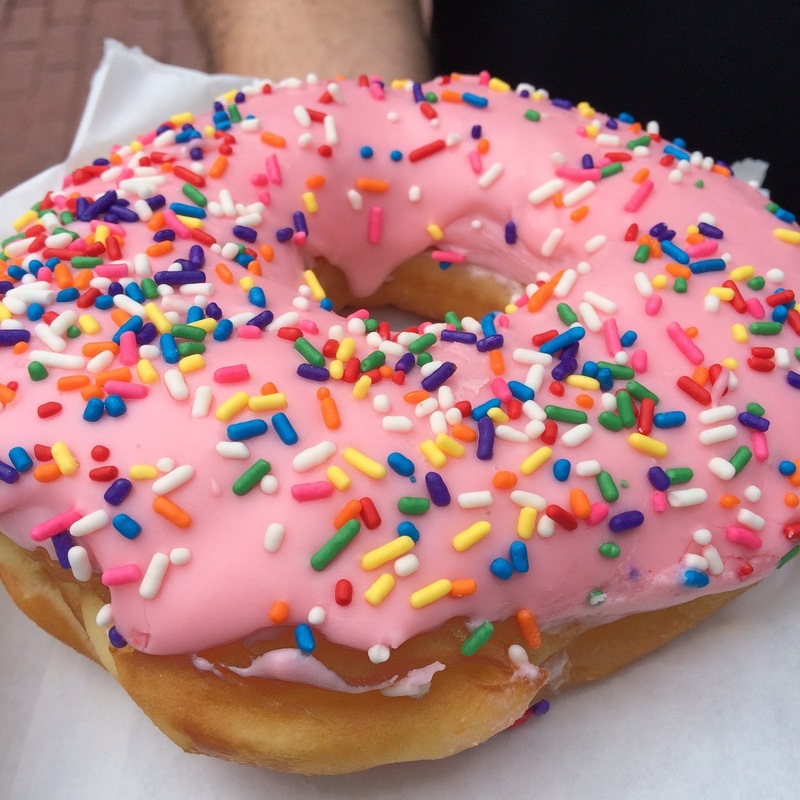 It was truly one of the best things I've ever eaten. We have tried that - so good!